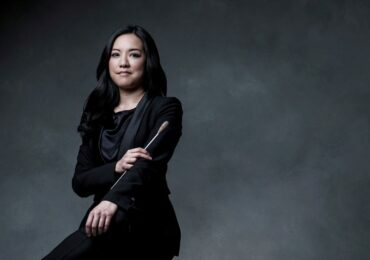 It has taken decades, but the appearance of women musicians in professional orchestras is no longer startling to audiences or donors. 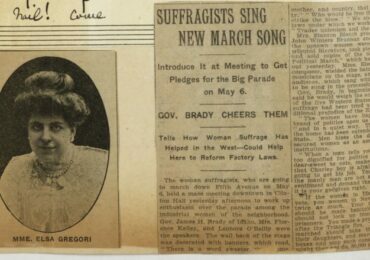 The long fight to find a place among the best-of-the-best, combating teachers who refused to train women and conductors who refused to hear them play, has reaped tremendous rewards. Take Jorja Fleezanis, for example. Ms. Fleezanis just began her 20th season as a member of the Minnesota Orchestra. Her talent, experience and passion was recognized by the orchestra when she was appointed concertmaster in September 1989 – officially entering the orchestra’s history by being the first woman appointed to that position. Now she will also remembered as having been the longest tenured concertmaster to date. The number of women concertmasters has been steadily increasing (actual figures are hard to come by). Last October Jessica Mathaes became not only the first woman, but also the youngest concertmaster ever appointed by the Austin Symphony. (The original story ran in the Austin Chronicle.) And even the Vienna State Opera Orchestra has appointed a woman as concertmaster – the news broke in May of this year, shocking the world with such a leap forward, considering the renowned bias that has existed in Vienna over the role of women as musicians. Albena Danailova, who previously served as concertmaster for the London Philharmonic, took her seat as of September 1. However, the recent buzz surrounding Ms. Fleezanis was not a result of her tenure at the MSO: she made news this week with the announcement that after two decades with the orchestra, Ms. Fleezanis has the incredible opportunity to move from her esteemed position as concertmistress to professor, having been recruited by the Jacobs School of Music at Indiana University. The Minneapolis-St. Paul Star Tribune reports that she was sought after for years to serve in the new position of professor of music and the Henry A. Upper chair in orchestral studies. 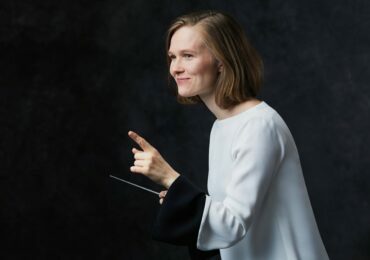 While the rise of women in orchestras has been impressive in the past several decades, it is notable that their presence in academia is still weak. The appointment of Ms. Fleezanis as the chair of the orchestral studies department of one of the most revered music schools in the country is a great victory for women, both in music and academia. So, brava to her for having excelled so brilliantly, and undoubtedly guiding countless other young women towards their now more attainable goals of a life in music. Next articleHappy Birthday Joan Tower!